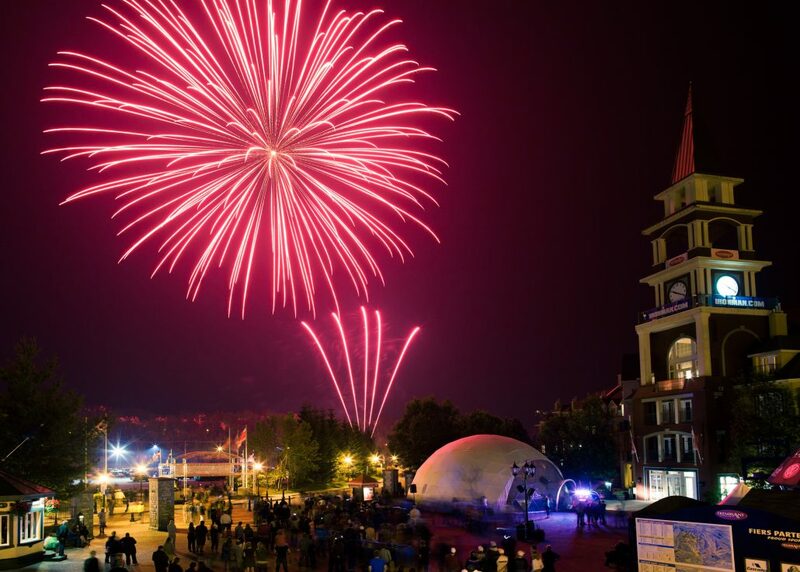 Tremblant is celebrating Canada’s 150th anniversary on July 1 with a free activity and event programme that is bound to please both tall and small alike, with roving entertainers and the traditional birthday cake to musical performances and fireworks, late evening. All day long on July 1, kids are sure to enjoy our mascot Toufou and balloon sculptor, Marc-Ambulle. 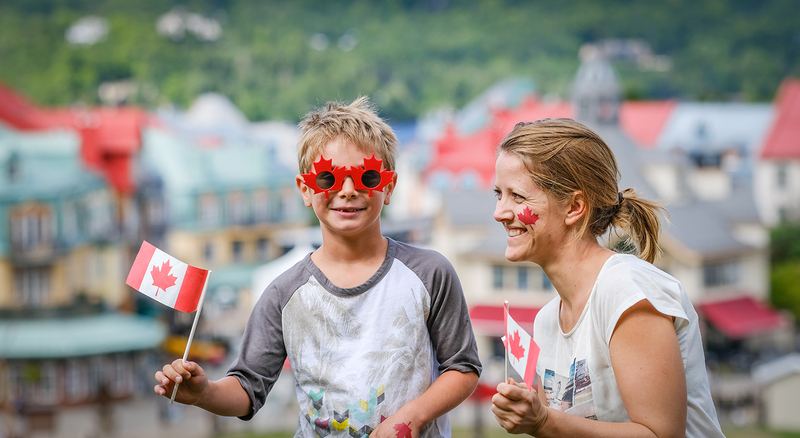 In the afternoon, on Place des Voyageurs, visitors are invited to attend the flag-raising ceremony, and share a piece of cake decorated like the Canadian flag, with face-painting for the little ones who are welcome to choose any animal or character they wish. 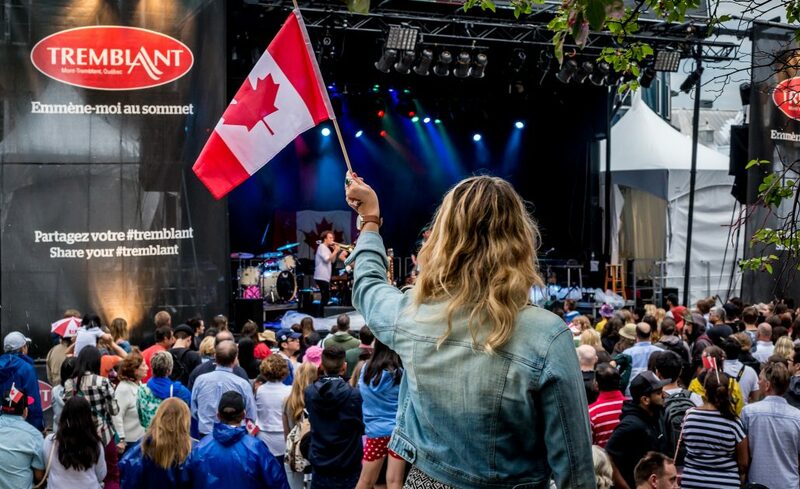 In addition to the day’s family fun, Canada Day celebrations take centre stage with Toronto alternative pop band Highs playing the opening act. Afterwards, known for its contagious energy, Laurentian band Foreign Diplomats fires up the mood with its indie pop sound. Next, the Canadian Flag Parade takes place at 10:30 pm, followed by the fireworks show at 10:45 pm. As a result, some roads will be temporarily closed to traffic, so kindly plan ahead (details below). Friday June 30 at 8:30 pm, Gab Padilla cleverly fuses a string of musical genres, from blues to rock and hip-hop. Then on July 1, we’re celebratig the arrival of summer at the Beach and Tennis Club with a Beach Party! Festive atmosphere throughout the day with entertainment, DJ and games including a volleyball tournament and more! Discover the new lounge bar and the snack bar and enjoy the facilities with free activities provided by Le Centre Nautique Pierre Plouffe and Académie de Tennis André Lemaire. Join the event on Facebook for updates. Sunday July 2, Rob Lutes climbs on the Place St-Bernard stage with his deep voice and perfect blend of blues, folk and Americana. 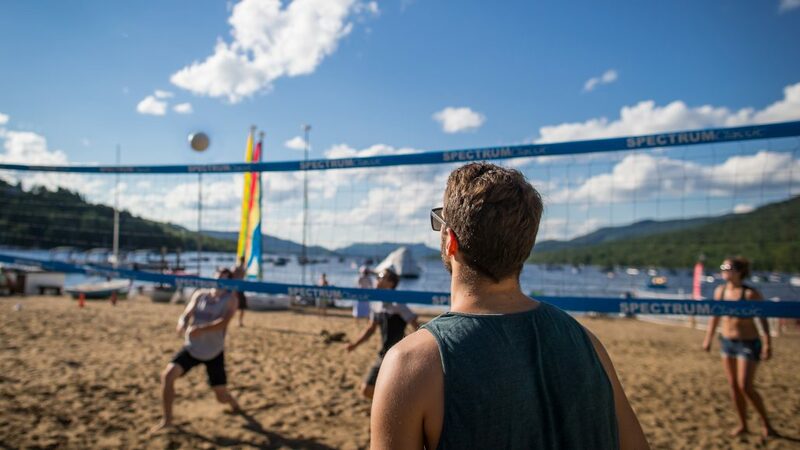 Programme details at tremblant.ca. 10:40 pm – 11:00 pm: Partial closure of Chemin Duplessis, from Montée Ryan to Chemin des Voyageurs; as well, partial closure of Chemin des Voyageurs, from Chemin au Pied-de-la-Montagne to Chemin du Curé-Deslauriers.